B.Sc. (Hons) Human Biology and M. Biotechnology from All India Institute of Medical Science (AIIMS), New Delhi. Ph. D. National Institute of Immunology, Jawaharlal Nehru University (JNU), New Delhi. Research Scientist (HFSP) at ICGEB, New Delhi (1996-1999). Akash Ranjan (born 1968), a computational/molecular biologist, is a staff scientist, and group leader Computational and Functional Genomics Group at Centre for DNA Fingerprinting and Diagnostics (CDFD), Hyderabad (since 2000). He studies genomic encoding of molecular mechanisms and circuits that control cellular functions in physiology and pathology of biological organisms. He has developed many computational and experimental approaches to unravel genomic encoding of physiological functions. He is currently applying these approaches to study bacterial pathogens, apicomplexan parasites, and humans. Dr. Ranjan is a recipient of DST young scientist award and DST BOYSCAST fellowship from the Department of Science and Technology (DST), Government of India. Research in his group has been supported by grants from CSIR under New Millennium Indian Technology Leadership Initiative (NMITLI) program and Department of Biotechnology, Government of India. In 2005, Dr. Ranjan set up a Sun Centre of Excellence in Medical Bioinformatics at CDFD in partnership with Sun Microsystems. He also served as its founding centre head in addition to being EMBnet node representative in India (2005-2008). He is now the chair of Bioinformatics Advisory Committee for CDFD. Before joining CDFD, Dr. Ranjan served as a Research Scientist and Research Fellow, Human Frontier Science Program (HFSP), USA. International Centre for Genetic Engineering and Biotechnology (ICGEB) New Delhi. At ICGEB, his work led to the mapping of ligand binding site on Erythrocyte binding protein of the malaria parasites Plasmodium vivax and Plasmodium knowlesi. Dr. Ranjan also contributed to the development of a candidate malaria vaccine based on the functional domain of Erythrocyte Binding Protein. 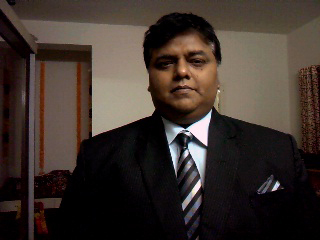 In 1999, Dr. Ranjan joined as Assistant Professor, Birla Institute of Technology and Science (BITS), Pilani. At BITS, he was interested in using PARAM 10000 based Parallel Super Computers for High-Performance Computing (HPC) in Biotechnology. Dr. Ranjan received his master's degree in biotechnology (medical microbiology) and bachelor's degree in human biology from All India Institute of Medical Sciences, New Delhi. He received his Ph.D. in computational biology and biotechnology (applied virology) from National Insititute of Immunology, Jawaharlal Nehru University, New Delhi. Last updated on : Tuesday, 5th June, 2018.